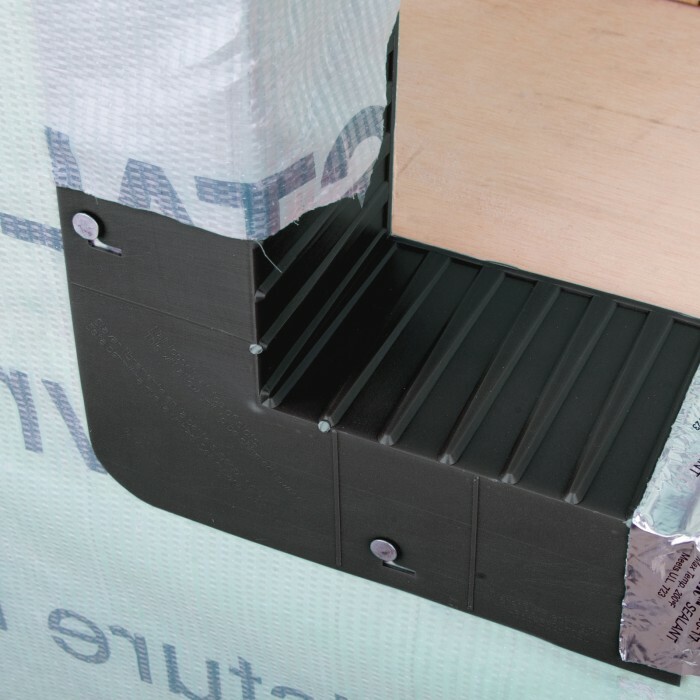 The flashing is designed with drain channels that taper to the outside not allowing water to migrate side to side. This makes these pans the best for directing water out of the house envelope. 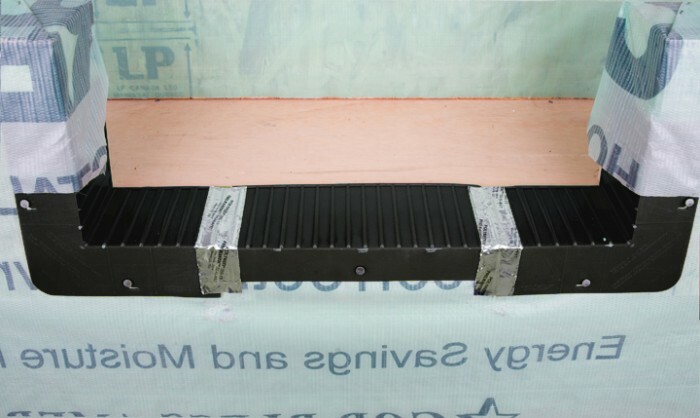 This product is used when an internal back dam is not needed. The small back lip is big enough that it gets the job done, and small enough that it will not affect your window/door installation. 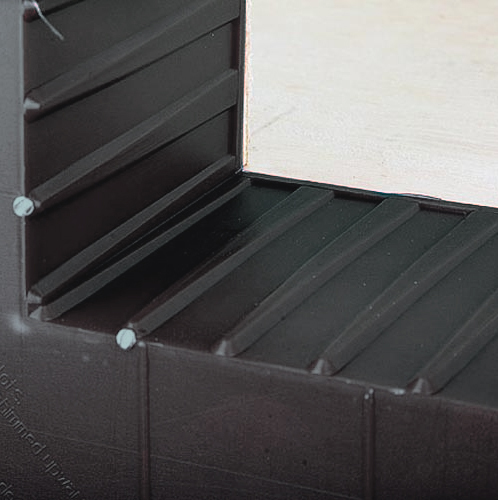 One case of our non-handed sill pan corners (50 per case) combined with one case of our 26-inch straight sill pans (25 per case) will completely protect 25 standard 3' 0" widow or door openings. 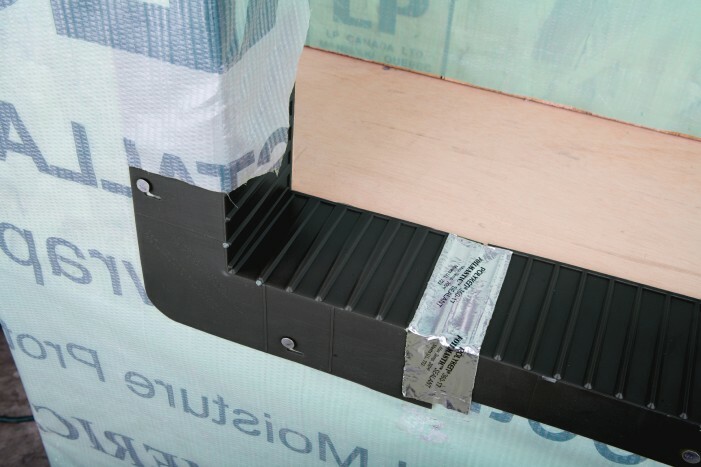 if your openings are larger, simply purchase additional straight sill pan pieces and cut to fit. 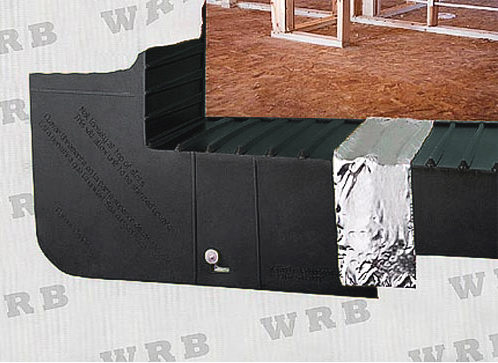 WOF10 - 4" window and door corner sill pan flashing with back-rib. 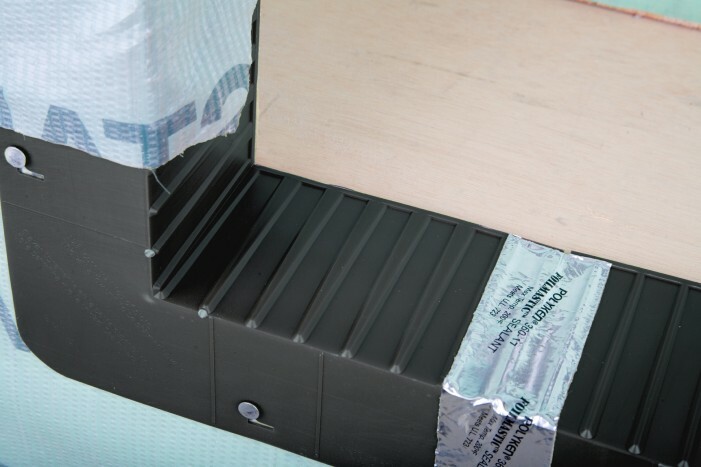 The flashing is designed with drain channels that taper to the outside not allowing water to migrate side to side. This makes these pans the best for directing water out of the house envelope.